Ela! (which we used to know and love as Opa!) 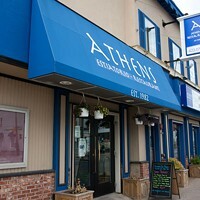 is a go-to classic when it comes to Greek food in Halifax. After last year’s closure of its Argyle Street location—which brought home the gold year after year—it’s Bayers Lake’s time to shine. 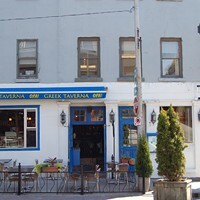 Ela’s authentic Greek dishes, such as lamb, chicken, pork or scallop souvlaki, stuffed tomato and pepper yemista or the classic spanakopita, keep Greek food lovers not just coming back for another taste, but hitting the Best of Food polls. And the authentic Greek vibes don’t stop at the menu—the classic Grecian decor adds to the feeling of a Greek-themed night on the town.